Richard Milward was born 26th October 1984 in Middlesbrough, England. In 2007, his debut novel Apples (Faber) was published when Richard was the tender age of twenty-two, to great critical acclaim. Richard's second novel Ten Storey Love Song (Faber) was released in 2009, receiving accolades from such folk as Irvine Welsh ('a major talent') and Lauren Laverne ('astounding'). Both novels have been adapted for the stage: Apples in 2010 by Northern Stage/Company of Angels, and Ten Storey Love Song in 2016 by Middle Child Hull. Both toured extensively and won awards at the Edinburgh Fringe. Richard's third novel Kimberly's Capital Punishment was published in 2012, picked as a Time Out Book of the Week and heralded as one of The List's Best Books of 2012. The novel is a sextuple-ended black comedy, following a girl's fated attempts at 'unadulterated altruism' in a nightmarish vision of our nation's Capital. To date, Richard's books have been translated into nine different languages (Dutch, Spanish, Italian, German, French, Romanian, Portuguese, Hebrew, Turkish). Richard's writing (fiction and non-fiction) has appeared in The Face, Dazed & Confused, The Guardian, The Independent, The Times, Arena, .Cent, Vice, The Quietus, Loops, Le Gun, Bare Bones, It's Nice That, Middlesbrough FC fanzine Fly Me To The Moon and others. He has also written catalogue essays for Damien Hirst, music photographer Kevin Cummins, artist Johannes Albers, illustrator Neal Fox, as well as the liner notes for the Azusa Plane retrospective, Where the Sands Turn to Gold. His occasional excursions in journalism include interviews with Pete 'Sonic Boom' Kember of Spectrum/Spacemen 3, TOY and Olympic boxing gold medallist, Luke Campbell. In 2010, Richard guest-edited the Autumn/Winter edition of .Cent magazine: 'The Intoxication Issue', with contributions from DBC Pierre, Animal Collective, Faust, etc. In June 2008, Richard graduated from Byam Shaw at Central St Martins College of Art and Design with a BA degree in Fine Art. 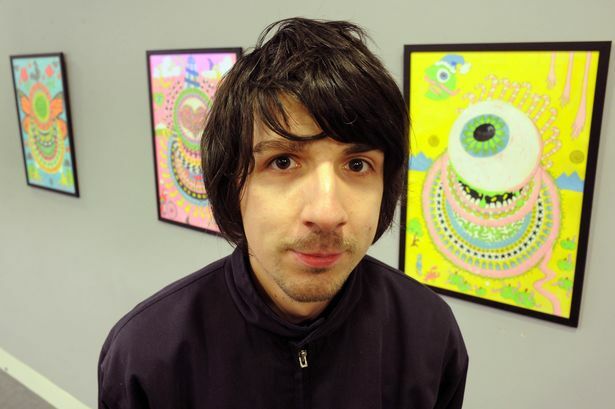 He has exhibited his psychedelic, slapdash artwork at Waterstone's bookshops across the UK; The Social and The Amuti Gallery London; Rough Trade Nottingham; Working Class Movement Library Salford; Galerie Quartair in The Hague, Netherlands; as well as mima, The House of Blah Blah and The Tunnel Gallery, Middlesbrough. He also decorated the moveable sets for the Apples stage production. Richard lives in Holloway, London. In 2013 he was awarded an honorary doctorate of letters from Teesside University, and he is currently working on a new novel, a collection of short stories, and new paintings.